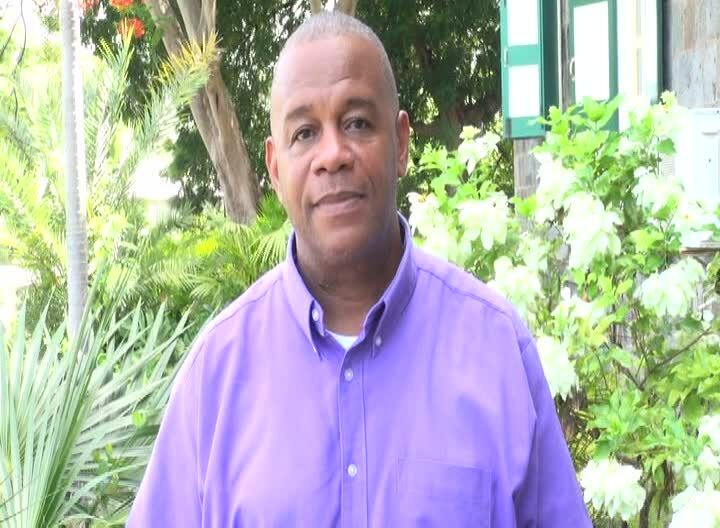 NIA CHARLESTOWN NEVIS (October 03, 2014) — Permanent Secretary in in the Ministry of Agriculture on Nevis Eric Evelyn, will represent Nevis at the 13th annual Caribbean Week of Agriculture (CWA) in Paramaribo, Surinam from October 6th to 12th. The event, a leading agricultural meeting in the region, is organised by the Caribbean Community (Caricom) Secretariat in collaboration with international organisations called The Alliance. This year’s CWA will be held under the theme “Transforming Caribbean Agriculture through Family Farming.” Before his departure from Nevis, Evelyn told the Department of Information on October 03, 2014, of the various capacities in which he was attending the regional agricultural event. “I will be attending Caribbean Week of Agriculture in my capacity as the Technical Secretary of the Caribbean Plant Health Directors Forum. This is actually the first time that the Caribbean Planter Health Directors Forum will be represented as a body. Our participation at Caribbean Week will be sponsored fully by the United States Department of Agriculture (USDA),” he said. According to Evelyn, the Caricom Secretariat had extended an invitation to the Forum and a decision was subsequently taken for the executive body to attend. He will be accompanied by the Chairman and the Co-Chairman along with the USDA representative for the region and an administrative assistant. Evelyn also spoke of the planned activities he and his organisation would take part in. “During our participation at Caribbean Week, we as the executive, will be making presentations to the COTED officials as well as the ministers because right now, we are strategizing and we are coming up with our activities for the ensuing year and we would like buying and support from the policy level and the political directorate, in terms of moving our programmes and policies forward. “Of course, we want to let the permanent secretaries and ministers of agriculture know what we are about, what we are doing and how important the work that we are doing is to safeguarding the plant health of the region,” he said. Among the activities for the CWA Evelyn explained, was a meeting for permanent secretaries and workshops. “We also have the COTED meeting in which permanent secretaries from throughout the region attend some of those meetings and they discuss issues and how we can come up with policies to face the challenges facing agriculture in the region and how we can overcome such challenges. “Apart from those meetings, there are a number of seminars and workshops that are organised by various institutions like Inter-American Institute for Cooperation on Agriculture (IICA), Caribbean Agricultural Research and Development Institute (CARDI), Food and Agriculture Organisation (FAO). So all in all it is a packed week where the focus is on agriculture and the industry and how to move it forward,” he said.